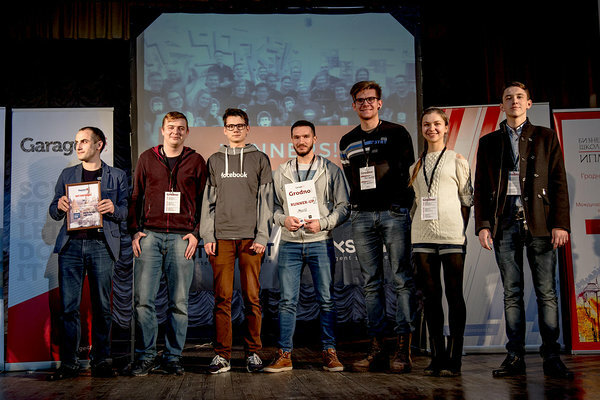 Last weekend, on 25-27 November, the very first hackathon in Grodno city, Belarus was held. 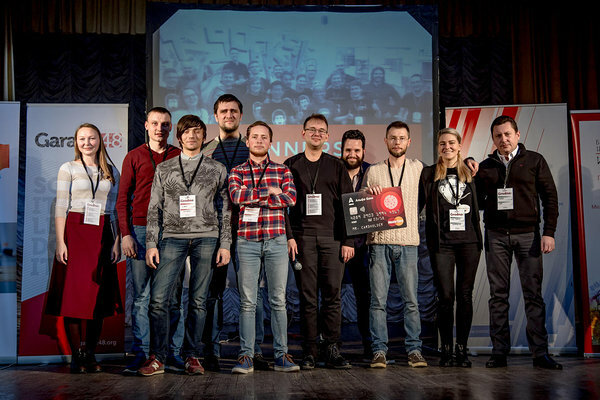 The idea to bring Garage48 to the university city came from our own alumni team MSQRD and the idea was brought to life together with them, Eventspace.by, Grodno State University and our long time partner Estonian Development Cooperation. All together 15 teams were working hard during this intense weekend to reach their common goal - to present a working prototype by Sunday final. 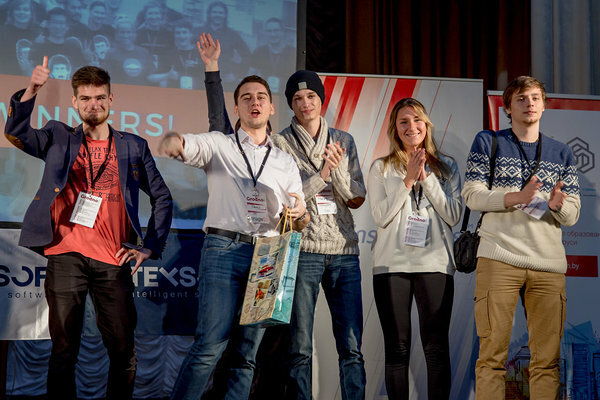 Each group gathered a mix of skills to imitate the full life cycle of a startup in 48 hours. 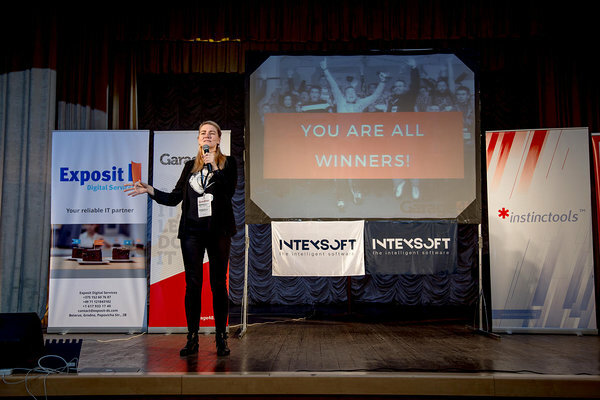 So with the help of expert mentors the teams went through ideation, planning, market research, coding, designing, fixing all sorts of issues, presenting on stage and so much more in such limited time frame. 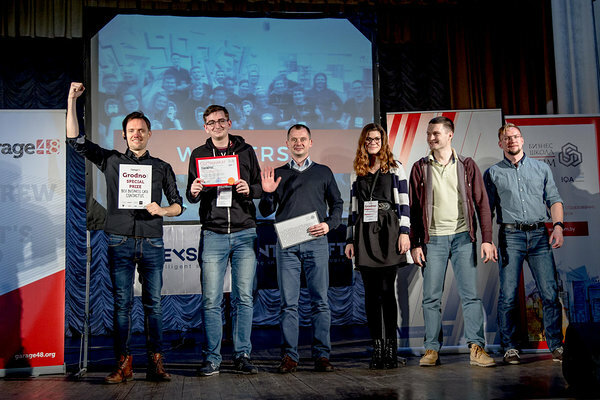 All 15 teams were successful in delivering a 3 minute demo and a working prototype and they all deserve an award for the effort, time and passion they put into this. Scop is a no-type messaging app for busy people. It uses speech recognition for automatic typing and face recognition technology to add emoticons to your text. Meetallica is a team who wants to change the world of amateur music by creating a dating website for musicians. This is where like-minded people would be able to find musicians with similar skills and tastes in music and help them to play together. ImeetU is an mobile app for busy people that allows to schedule meetings in the calendar. Just place your phone near the partner's phone and get the confirmation with a list of available time frames. We call it TSC: Tap - Select - Confirm. Stop wasting your time on searching around for best offers - let businesses give you the best deals instead! Contactus allows the customer to express his desire in short form and send it to all businesses in the location and selected category. Businesses receive these requests and in response can make their best proposals. 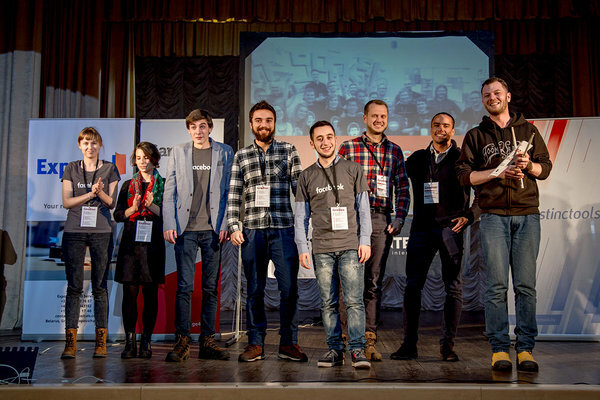 Team: Pavel Zubkov - PM, full stack; Vitali Haurosh - mareketer, Allan Mäelt - marketer; Alexandra Zhuk - designer; Egor Miron - front-end; Pavel Pachkovsky - full stack; Andrew Babkin - PM. Team 131 is creating a mobile application for informational medical Telecommunications 131. This service has a unique single Republican base of health facilities. Using this service you can book an appointment to see a doctor, get information on all types of health services, ask the doctor on duty, order medical taxis and so on. Our future app will help every citizen of Belarus to get qualified medical help, order a slip for an appointment with doctor, chat the doctor on duty whatever you want belonging to health, order medical taxi, saves your free time, have push notifications remiding you to go to doctor and so on. Singapic is creating a mobile app that you can use to hear a little stort/rap son/robotic voice presentation of your picture. Also a big thank you goes out to all our organising partners and sponsors - your help and support and especially the time and commitment of the people made this event possible. So a special thank you goes to Daria Shabala and Eventspace.by team for being patient and ready to tackle any obstacle throughout the project, Elena Livak and the whole State University of Grodno for welcoming us into their building and helping in any way they could, Eugene Nevgen and Sergey Gonchar and MSQRD for initiating the idea and helping to make it happen, also our great sponsors Exposit D.S. 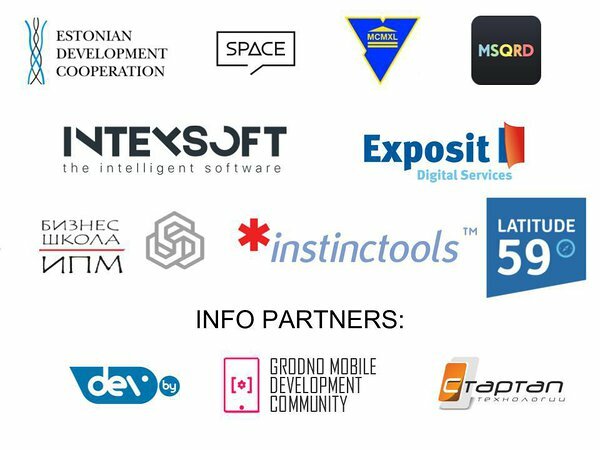 and Sergey Gumeniuk , Instinctools and Alexey Spas, Intexsoft and Kirill Shashkov and Eugen Shashkou, IPM Business School & Latitude59. 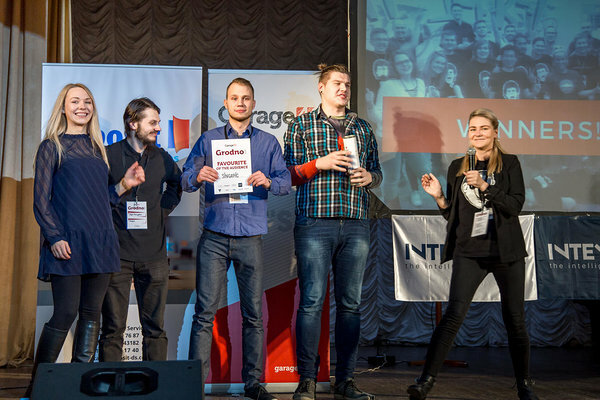 We hope this Garage48 event kicked off a long line of cool startup events in Grodno and the next success story hails right from there! Until next time and next event..